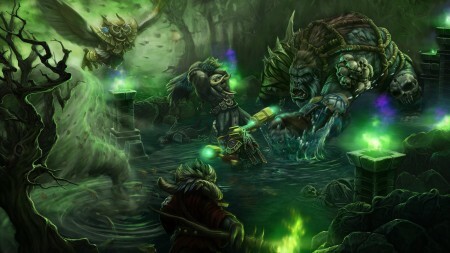 Heroes of Newerth Open Beta. Time Limited. Many of you wanted to get beta accounts for new Dota-like game Heroes of Newerth. Today, 10 minutes ago S2Games has open beta registration for all! But be faster – you have only 24 hours to register. And there’s also one condition, you must be registered in Facebook and be fan of HoN club. Then you can go to http://www.heroesofnewerth.com/open_create_account.php and there you will be able to create your own beta account. But you must follow this link from facebook page directly, it’s requirement of S2Games, authors of HoN. Have fun. If you have been wondering “What is hon?”, or already know and would like to be part of the closed beta there is a free beta invite giveaway going on.Â HoN or Heroes of Newerth is a stand alone, DotA inspired game with an array of new features and improvements brought in by the benefits of a dedicated game. If you are already playing you can educate yourself with some HoN strategy, if not be sure to sign up for the beta invite giveaway and get yourself a HoN beta key.